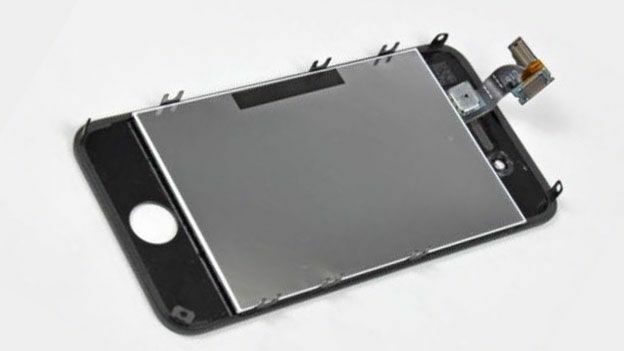 Adding to the flurry of Apple iPhone 5 rumours, new reports have claimed to leak the upcoming handset's front panel, once again hinting at a potential 4-inch display. Far from the first time the long awaited iPhone 5 has been tipped to sport a new, larger screen, the latest leaked images suggest Apple will incorporate a 4-inch Retina offering that is slimmer that past units allowing for a more compact handset design. Cutting down on size by integrating touch sensors directly into the LCD panel, the next-generation Apple iPhone is seemingly set to come in for a complete redesign with the iPhone 4S follow-on to land thinner than ever. Long the thing of much rumour and speculation, the as yet unconfirmed Apple iPhone 5 has been previously tipped to sport everything from a Samsung Galaxy S3 rivalling quad-core processor to 1GB of RAM and a new, metal-backed form factor. With an Apple iPhone 5 release date expected to follow its 4S predecessor a hit stores in early October following a late September unveiling, Apple has been rumoured to be working on improving the camera optics its likely iOS 6 packing handset. What would you like to see Apple incorporate within its next-generation iPhone 5 device? Let us know via the T3 Twitter and Facebook feeds. Ever wondered what the iPhone 5 would look like if it was designed by Nike, Audi or Rolex? Take a look at our iPhone 5 design icons concepts video below.